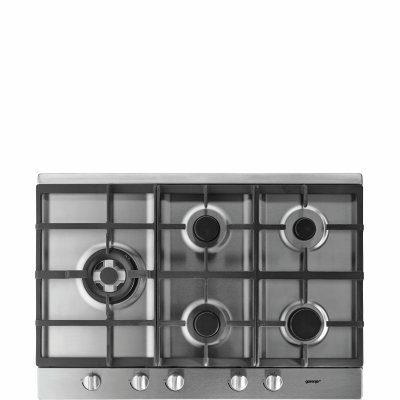 Special innovative stepless slider allows perfect control over the power level and light intensity. Smart targeted extraction with less noise! 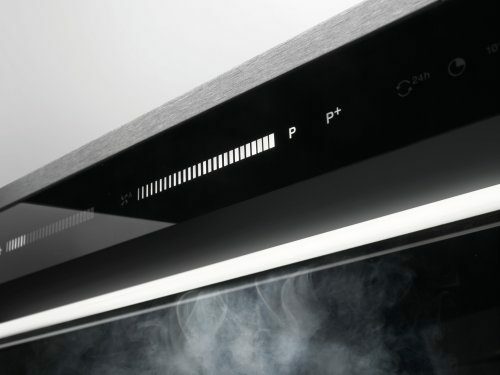 Gorenje+ cooker hoods feature a revolutionary new perimetric aspiration system that does not extract the air only through the central part, but rather directs extraction power to the edges as well. Such approach reduces power consumption and noise, and improves the efficiency of air extraction. Activate the PowerBoost function to immediately remove excess steam bursting out of a pot. 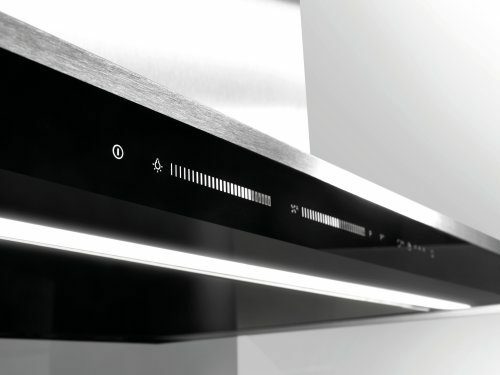 Select Gorenje+ hoods feature continuous SliderTouch power control with two power boost settings. The kitchen is often the central living space that goes beyond the purpose of food preparation. Do not let noise spoil the pleasant moments! 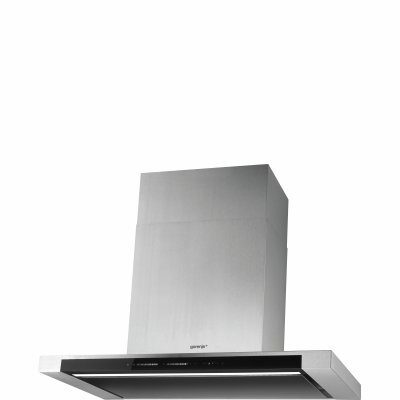 Choose Gorenje+ hood with energy saving brushless motor with lover noise level and A+ energy efficiency. Noise can be further reduced by using smooth rather than ribbed ducts, allowing sufficient duct diameter, and providing sound insulation for the ducts if required. Before or during cooking, you may use the one of three timer levels to set the hood to operate from 10 minutes to 30 minutes. When the set time expires, the hood will be switched off. Timer may be quite convenient after the cooking is finished as well. Set the time according to the amount of steam and odours in the room and you may leave the room without any worries. The hood will do what you wish and then switch off. 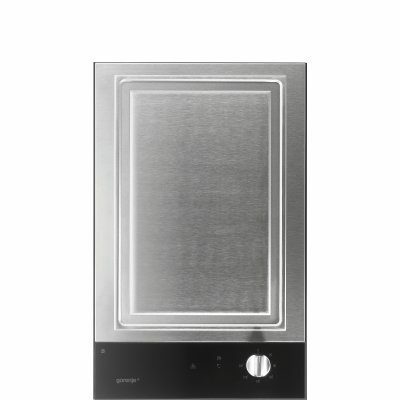 Hood housing is made of genuine high-quality stainless steel treated to resist any fingertip markings. Thus, the kitchen will remain shiny even when these surfaces are touched, and cleaning will be simple even after you have touched them while several ingredients of what you were cooking were still stuck to your hands. Your hood should be able to exchange the air in your room ten times per hour. Hence, in a kitchen of 16 square meters and with ceiling height of 2.5 meters, the amount of air to be filtered in an hour is approximately 400 cubic meters. 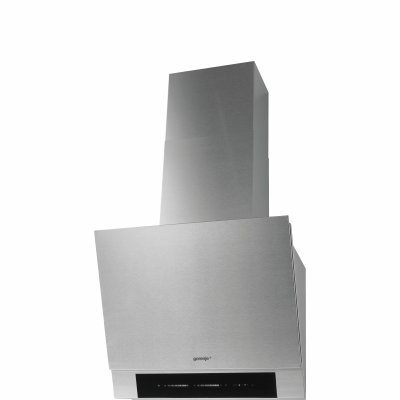 Recommended hood capacity is calculated by multiplying the kitchen volume (multiply the width, length, and height of the room) by a factor of 10. 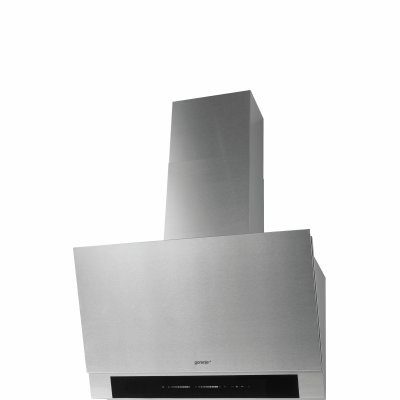 Selected Gorenje+ hoods can exchange up to 800 cubic meters fo air in an hour. 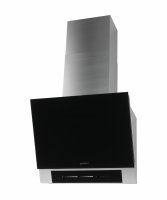 For optimum effects, the hood should be of equal width as the cooking hob, placed 65 to 75 centimetres above the cook top (depending on the type of hob – with some, 45 cm is enough). To prevent unwanted loss of pressure, observe the recommendations on the diameter of exhaust duct which should be as smooth as possible, as short as possible, and include as few bends as possible, particularly any sharp ones. During cooking, set the hood operation according to expected amount of steam and odour. After the end of cooking, leave the hood to operate for at least 10 minutes. 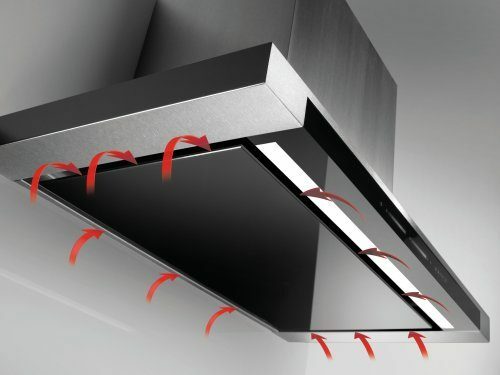 Extraction hoods draw in cooking fumes and trap vapours through in a filter while expelling odours to the outside through a ventilation duct. 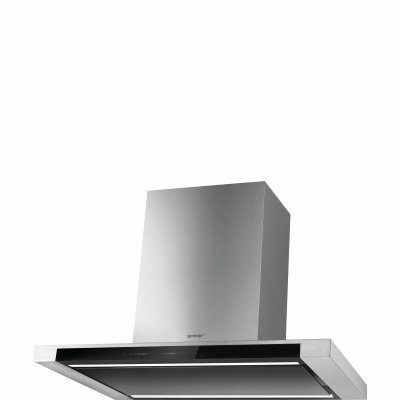 The best Gorenje+ cooker hoods feature special aluminium filters with patented cassette insert that helps to stop up to 98% of grease coming from contaminated air while achieving energy class A for grease filter absorption efficiency. In addition they have a built-in sensor that is able to perceive when the grease or charcoal filters are saturated with grease particles to an extent that it impairs optimum hood performance. With normal use, cleaning is recommended every two months. It is quite simple – using water and manual dishwashing detergent, or washing them in the dishwasher at 65 °C. Such cleaning may affect the colour of the filters, but it will in no way reduce their efficiency! On the contrary: clean filters improve the efficiency of operation and contribute to longer useful life of the hood. 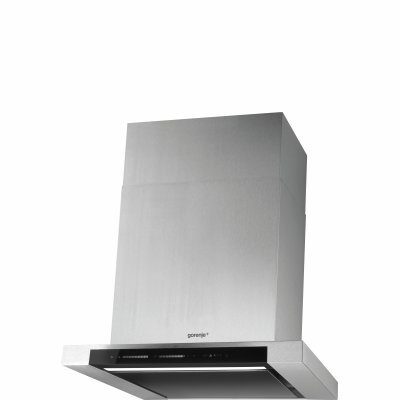 Appealing design of the extractor hood will enhance the aesthetics of the space; however, what makes a good kitchen hood is high performance, technical solutions that allow adequate ventilation of a room of particular size, lighting provided for the cooking hob beneath, silent operation, and other properties that match your lifestyle. 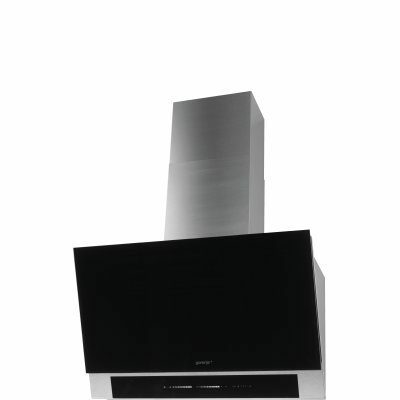 The wide offer of Gorenje+ extractor hoods allows you to choose the shape that best serves your purpose. 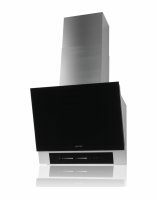 Uniform details make sure the hood will complement other Gorenje+ appliances. 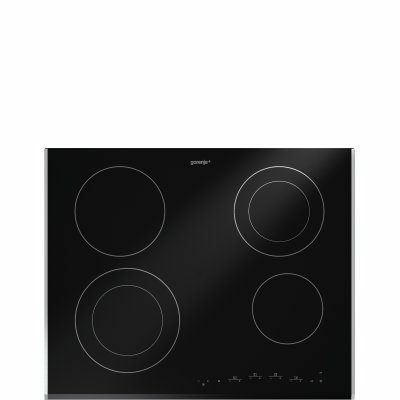 Select Gorenje+ hoods feature a built-in dimmable power-saving LED strip for optimum light distribution and excellent lighting of the hob. 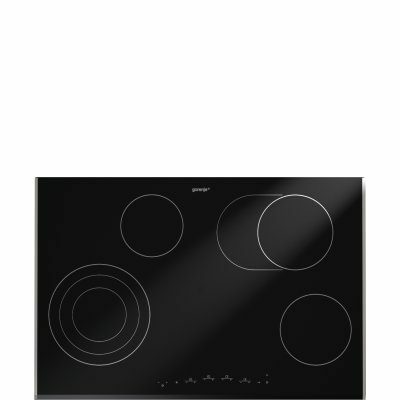 Carefully thought-out layout and LED orientation delivers optimum hob lighting at all times. The dimmer also allows using it as an ambiance light.